Applique mod. Dalia 4 lights is solid brass with antioxidant treatment. 4 bulb-sockets type E14 (little bulb). 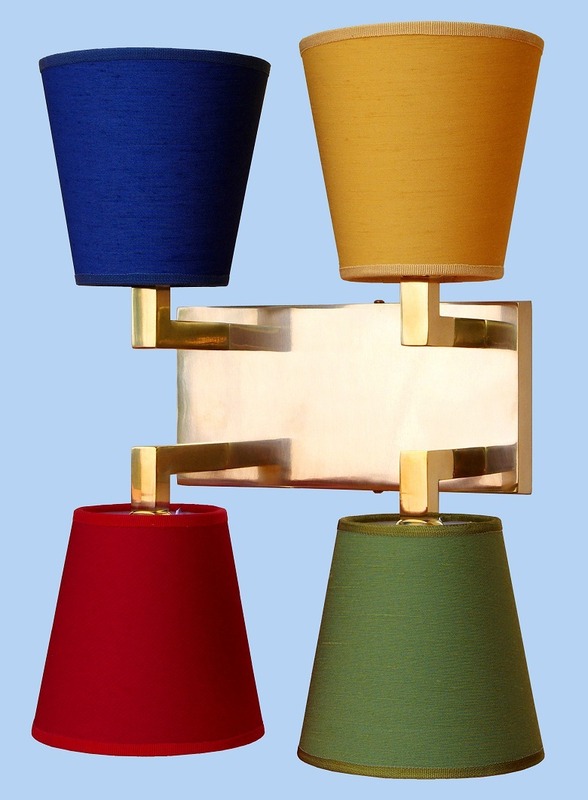 You can choose all 4 lampshades in same color or in various colors. Dimensions with lampshades: heigth cm 42 - width cm 32 - depth cm 17.